Hear trailblazing approaches to identifying and eliminating insider threats from malicious attackers. User behavior analytics is growing more sophisticated, using machine learning and big data analysis to precisely identify true malicious activity on a network. The big challenge for such solutions is to optimize the use of security analysts' time by avoiding false positives and by giving them complete context when activity is genuinely thought to be malicious. In this session, you’ll learn about innovations in this space that help you find insider threats and quickly shut them down. As you’ve heard in the news, cybercriminals are using stolen credentials and laying in wait on your network, primed for an attack.How do you find those stealthy cybercriminals and stop them, before they steal your data and intellectual property? 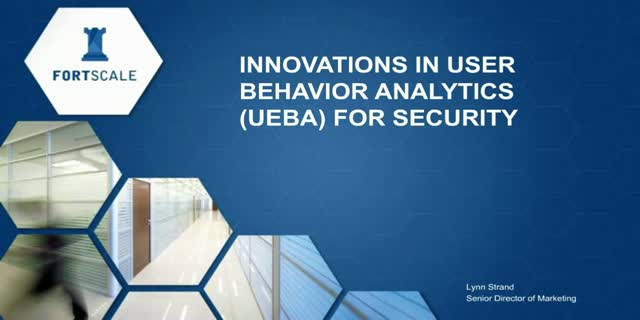 Hear about game-changing innovations in identifying threats using user behavior analytics. You’ll understand how UBA can work within your existing workflow to identify and stop insider threats, before they become headlines.